This Parisian hot spot is known for its food and drink as much as it is for pulling large evening crowds. Its see-and-be-seen the Parisian way, as it was originally intended to be. We really liked this place, great food & great place to people watch. Even my best friends depressed French boyfriend had a good time! with so many options in the area, you won&#039;t miss anything by skipping this place! The most in attentive staff ever. It was like they were doing you the favor. I&#039;ll pass right by next time. Nothing really special besides location. We left after one drink. Being the geographic centre of the Marais has benefitted this bar far more than it deserves. Reliably busy most evenings until 11 or 12. People tend to meet their friends here after work so people often hang out in cliques. Not easy (but not impossible) if you&#039;re on your own or don&#039;t speak French. Tourists and English speaking locals are quite friendly, however. Previous reviews of bar staff is 100% true. They&#039;re slow, unwelcoming and sometimes dishonest- count your change! Basically, Open Cafe is good for one or two happy hour pints around 7pm, then you should move on to FreeDJ or Cox. Nice place to eat and check out the scenery. One of the only where you can chat with unknown guys when you're alone in Paris! Good place to start a good night! Once you grab a table outside its a good people watching spot.The food is not bad either..good place to hit up before going out to drink. 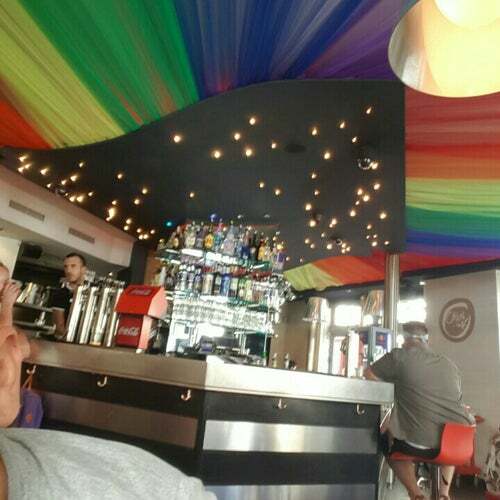 This bar has a similar vibe to its neighboring gay bar, Cox. The most notable difference between the two is that there is more comfortable seating options. The WORST PLACE IN PARIS!!! Cafe creme or cocktail. Best place to check out the Paris scene! Stupids waiters. Awfull service. Don&#039;t spend your money here ! If i can rate by 0 or negative i&#039;ll do it !